New technology at Torquay’s coastal zoo means you can colour in a sea creature and see it come to life in front of your eyes. The coastal conservation charity has installed an electronic wall where drawings are turned into animations. It’s the first time tech of this kind has been seen in the UK. Guests can colour one of a range of marine creatures, including tropical fish, seahorses and rays, scan them and then interact with them thanks to Draw Alive. 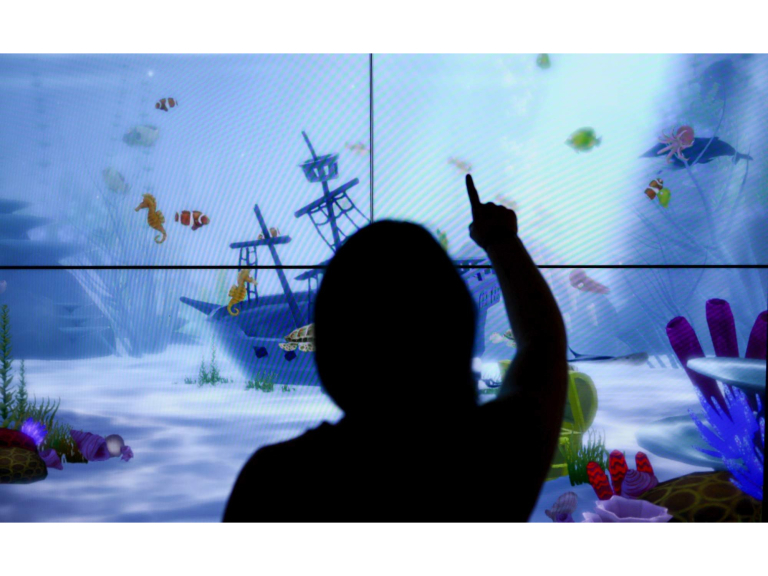 The display uses four LED-backlit LCD flat panel screens mounted together to make a single huge 110” full HD wall. The scanning device is accessible to wheelchair users and small children. Operations Manager Clare Rugg: “This installation is the result of a lot of effort from many staff across the organisation - we hope it will make a visit to Living Coasts even better! Staff saw the technology at a trade show in Berlin and realised it would be ideal for Living Coasts. The underwater scene suits us perfectly. It uses the latest software technology from Breeze Creative, based in Miami, Florida.” For more information go to www.livingcoasts.org.uk or ring 01803 202470.